One of the city’s premiere neighborhoods, the Back Bay is known for it’s tree lined streets featuring Victorian brownstones and luxury row houses. Previously a marsh land, the bay was transformed into buildable land through a filling project during the 19th century, making it one of the most expensive neighborhoods to reside in today. Convenient to public transit, exploring the Back Bay is a breeze whether you’re visiting one of its many upscale restaurants, ritzy hotels, or historic land marks. For the fashion connoisseur, the Back Bay is home to the famed Newbury St. boutiques, Prudential Center and Copley Place malls. 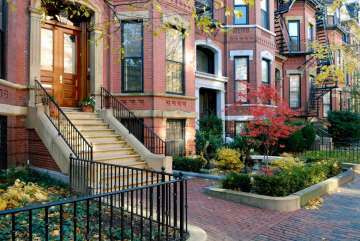 Attracting the most discerning clientele, the Back Bay neighborhood has remained a highly-sought after neighborhood and has prospered even during most challenging economic periods the city has faced.